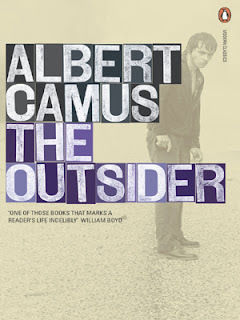 The Outsider is the other book that I have had to re-read for my university reading list. It is a book that I first read in college, so about three or four years ago. My classmates at the time, who also had to read it, were less than enthusiastic about it; for me, it was something of a revelation. The plot follows the life of a French Algerian named Meursault in the months after the death of his mother. His reaction is an unusual one to say the least: while many would have spent months grieving and adjusting to the loss of a parent, his response is to continue life as he has always done, with little to no remorse. This oddly muted behaviour continues to baffle his friends, but is otherwise considered harmless, until one day he kills a man for no reason; but now, in the public eye, his behaviour appears monstrous and his muted emotions evidence of a complete lack of human feeling. From the premise, I can see why many people would be put off; certainly, the lack of empathy with Meursault is the one complaint that I always hear. But for me, feeling empathy for Meursault isn't why I like this book: I already know that I won't ever understand him as a person. 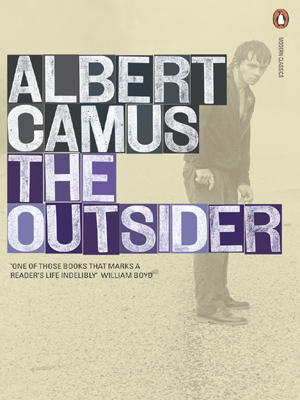 I like this book because I admire Meursault's guiding principle, even if I understand its limitations. What I admire about Meursault is his adoration and strict adherence to the truth, at least as he is able to express it; he doesn't exaggerate or lie about his feelings for the benefit of society or to make life easy. I may not agree with his reactions to situations, but at the same time I can't help but admire his straightforward attitude. In terms of personal philosophies, I can also admire his habit of living in the present, appreciating what he has and not deluding himself with the idea that if he somehow had a different life everything would be wonderful.